Desi Chef On Wheels Is Still On The Road; Greek Street Meat Cart MIA? There have been some fluctuations with the trucks and carts in the lower part of the Financial District as the area continues to be clogged with generators and vehicles taking up parking spots. A couple of you lunchers have written in wondering where the Desi Chef On Wheels and All American Diner I & II trucks, and the Greek Street Meat cart have been. Apparently the trucks had been MIA for a week or more and you were going into withdrawal from Indian food and hero sandwiches. While this is all worrisome, I have come bearing a little bit of good news. 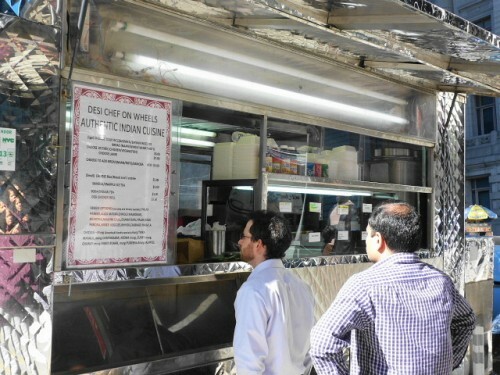 Posted by Andrea H at 12:00 pm, March 26th, 2013 under Desi Chef On Wheels Truck, Financial District, Greek Streat Meat cart, Truck. Ladies and gentlemen, I think I’ve found my new cheap go-to source of Indian food in the Financial District. I decided to revisit what’s now the Desi Chef On Wheels truck (initially called Desi Food On Wheels) and I was so glad I did. Yes, the food comes off of a steam table, but the women who serve it are so nice and the food I’ve tasted has been so nicely flavored that I just want to keep going back again and again. The truck’s offerings lean heavily in the vegetarian direction, and while I loved the daal I had on my first visit, the fish curry I tried on the second visit was tasty and equally cheap. 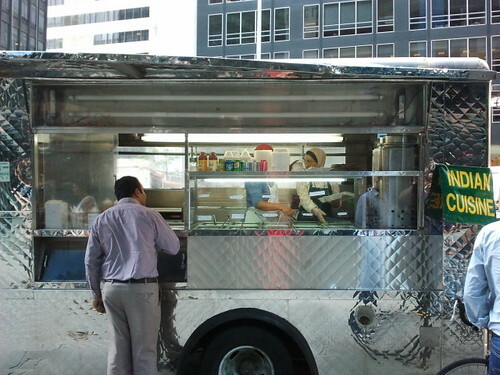 Posted by Andrea H at 12:00 pm, November 29th, 2012 under Desi Chef On Wheels Truck, Financial District, Indian, Truck. 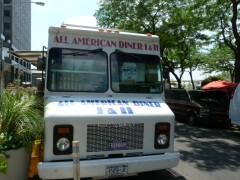 Posted by Andrea H at 12:00 pm, August 22nd, 2012 under Desi Chef On Wheels Truck, Indian, Truck, Vegetarian. 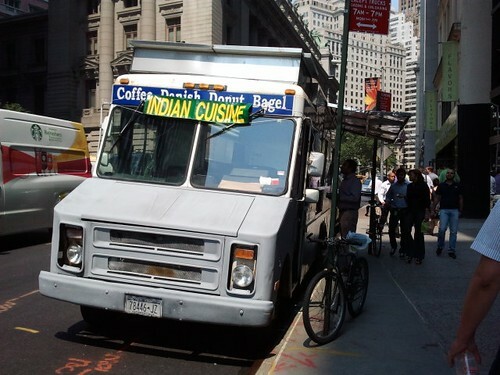 Would You Eat Steam Table Indian From A Truck? Shout out to Lunch’er Ameet who alerted me to a new truck selling Indian food on Whitehall St., between Bridge & Pearl streets. When I checked out what they were offering on Friday I was surprised to see the food was coming from a steam table on the truck, and is apparently being brought from some other brick and mortar location. Click through for a look at what they’re serving. Posted by Andrea H at 9:30 am, August 20th, 2012 under Desi Chef On Wheels Truck, Indian, Truck.